Display your love for the mitten state with this 5" x 7" handcrafted ceramic tile. 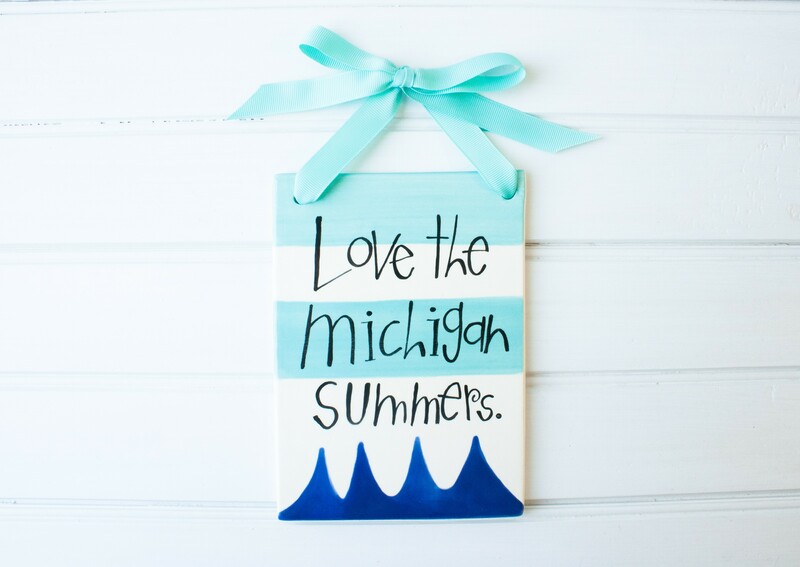 This tile includes decorative ribbon for easy hanging and is hand painted blue stripes and wave design with wording "Love the Michigan summers." All Geri Mateus items are made to order. 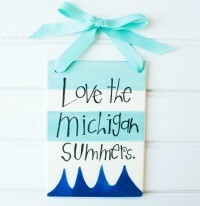 Production takes 3-5 business days for items to be produced before shipping.